The newer, prettier version of Google Maps for the desktop is now available for anyone to try out without an invite, Google recently announced via Twitter. The new Maps on the Web features vector-based maps, higher-quality images, and a completely new interface, but the central change that Google is pushing is Maps’ new focus on personalization. For directions, Maps is now supposed to highlight only the streets and landmarks you need to know about, making it easier to navigate. The new Maps details specific locations and landmarks using a card-based interface similar to what you'll find in other Google products, such as Google Now and Google+. Driving and transit directions appear side-by-side, so you can judge whether you’re better off taking the bus or the car. Search results are labeled right on the map, and info cards drop down from the search box allowing you to take a quick look at a shop’s hours and location. And as you favorite locations and ask for directions, Google Maps learns your tastes and can begin to suggest other local hot spots you might want to try out. You can also set your home and work locations. Despite these improvements, however, serious Maps fans may want to stay away from the new Maps as some features are currently missing. “[Google Maps is] missing about 50% of the features of the old google maps like multi-point routing,” one user complained on Twitter in response to Google’s Maps announcement. 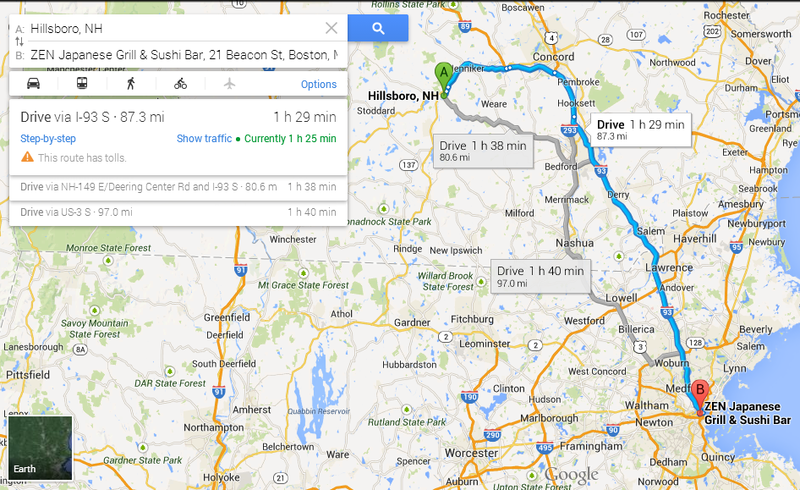 The older version of Google Maps had an option to add multiple destinations to your directions—a handy tool if you needed to find directions to several homes in one trip, or needed to find how best to get from home to school and then work. Some power users also complained that terrain view was missing, while others simply were confused by the new interface and its lack of standard features from the old Maps interface, such as the My Location button. We’ve asked Google if some of these features are slated to return to Google Maps and will update this post once the company responds. See the "Return to classic" option? If the new version of Maps has got you down, you can revert to the old Google Maps by clicking on the settings cog in the upper right hand corner. 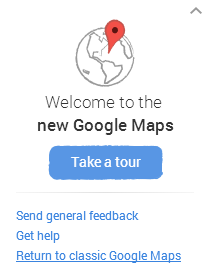 The drop down menu will include an option that says “Classic Maps.” You can also click on the “Help & Feedback” button just below the settings icon, and select the “Return to classic Google Maps” option from there. Once you return to classic Maps you will have the option of making the switch permanent—at least until the classic interface is discontinued. You can also briefly return to classic Google Maps by clicking on the settings cog and selecting “My Places.” This won’t make a permanent switch and will only return you to the classic map view until you refresh the page. If you’re just looking for single-point directions and don’t mind losing the terrain layer, however, the new version of Google Maps is well worth checking out. You can try it out at maps.google.com and then select the “Try it now” button in the left-hand pane. The new version of Google Maps requires you to sign-in with our Google Account.